The National Institute of Corrections (NIC) is seeking applications for funding under the Fiscal Year 2019 for the THINKING FOR A CHANGE FACILITATOR PROGRAM. This program furthers NIC’s mission by building capacity of state and local correctional agencies to develop and establish effective inmate cognitive behavioral rehabilitation interventions and strategies. 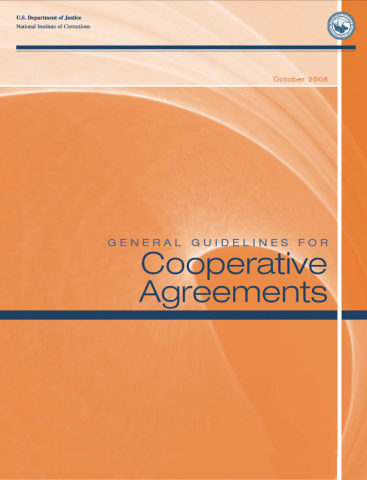 The goal of this cooperative agreement is to provide consistent training and support to staff from local, state, federal, and tribal corrections agencies seeking to implement the Thinking for a Change program in their organizations with fidelity. and locations specified in the Deliverables and Specific Requirements section. specified in the Deliverables and Specific Requirements section. their home agencies as specified in the Deliverables and Specific Requirements section. In addition to the strategy and content of the program design, the successful applicant must complete the following deliverables during the project period. The program narrative should reflect how the applicant will accomplish these activities. agreement within 30 days of award. 2. Deliver six , 44-hour Blended Thinking for a Change Facilitator programs. See solicitation for full details. identified as needing continued support in conducting and implementing group training in their home agencies. DEADLINE: Applications must be received before midnight (ET) on December 20, 2018. Please note effective July 1, 2013 the Central Contractor Registration (CCR) was merged to the System for Award Management (SAM). The SAM registry and Frequently Asked Questions can be reached at . Please note that the registration process can take up to 1-3 weeks, so please plan accordingly. Is this a "lowest bid" RFP or does merit of submission weigh more than the bid amount (so long as it is within the max amount)? Answer: Please see Section E of Solicitation (pages 28-28) for Review Information, Selection Criteria and Review Process. "Applications must request funding within programmatic funding constraints"
The eligibility link of the request (Section C pg. 14) refers you back to title page but then the link on the title page refers you back to section C. What are the minimum requirements? Two links embedded in the announcement are not working: Can you provide corrected links? 1. The link to the logic model is no longer active. We do not specify any particular format for the logic model since applicants may have different strategies to meet the desired outcomes. You may use any logic model format that fits your application. 2. In regards to the link to the facilitators manual, this link is not active on our website and should be disregarded. Access to the facilitators manual is only available to those who have completed the training. Given that the ideal size of T4C offender groups is said to be 8-12 members, is it correct that NIC expects the facilitator groups to be as large as 30-32 participants at each of the six training sites? Answer: Yes. 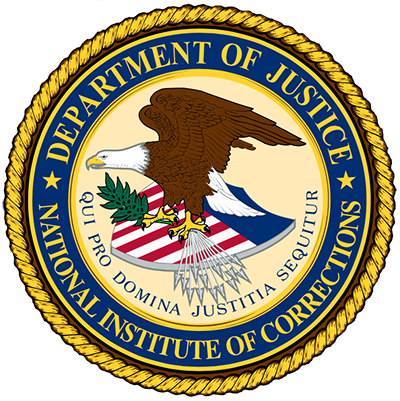 Participants are selected from local, state, and federal and tribal correctional agencies within the host organization and surrounding region. The awardee will work with the host agency to identify 30-32 participants for each program.